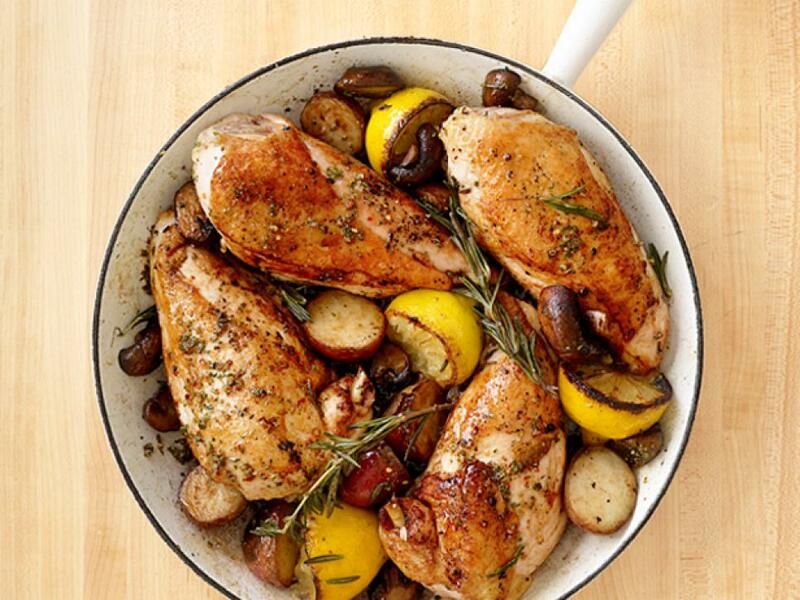 Jazz up your weeknight rotation with simple dinners and meal ideas that will soon become staple recipes in your home. 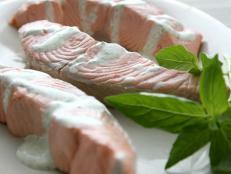 It's fine to use canned wild salmon instead of fresh salmon in a flavorful recipe like this — it's a fraction of the cost and you won't be able to tell the difference. 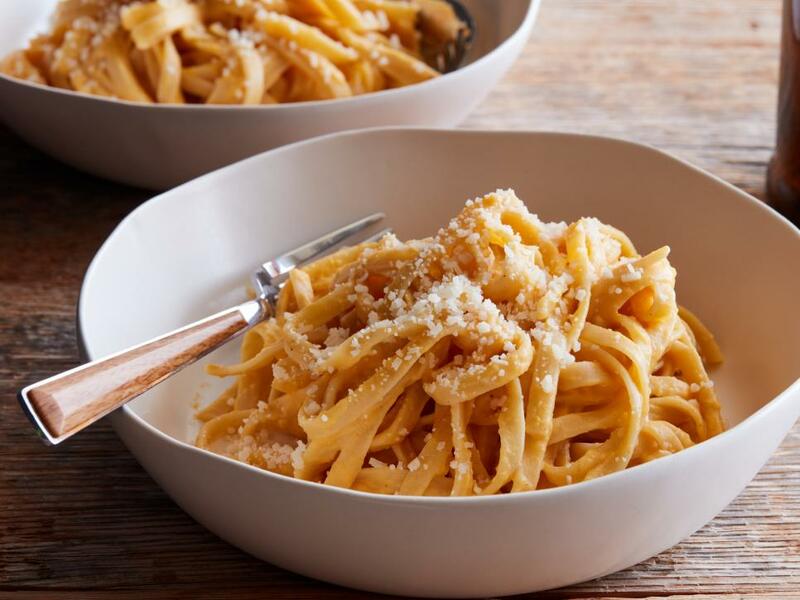 Anne Burrell takes fall pasta to a new level with layers of flavor. 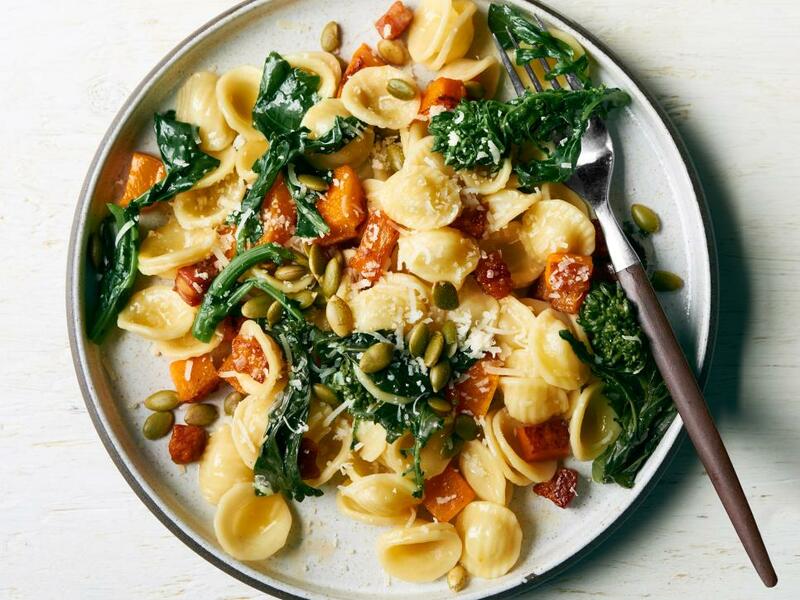 Deeply roasted pumpkin, bitter broccoli rabe and salty pancetta come together for a dish that's uber-cozy. Geoffrey Zakarian adds crunch to his soup with a unique ingredient — popcorn! 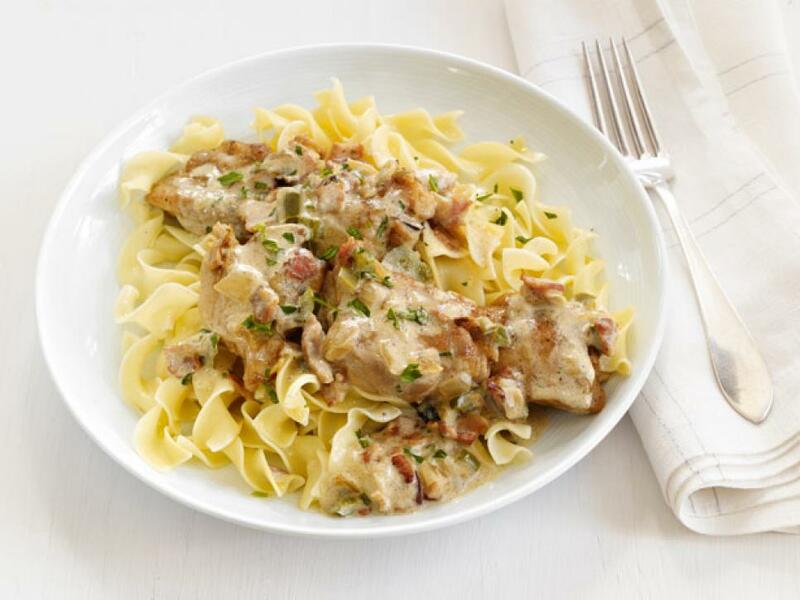 Celebrate autumnal flavor by preparing this sweet and fragrant cranberry-sage sauce. 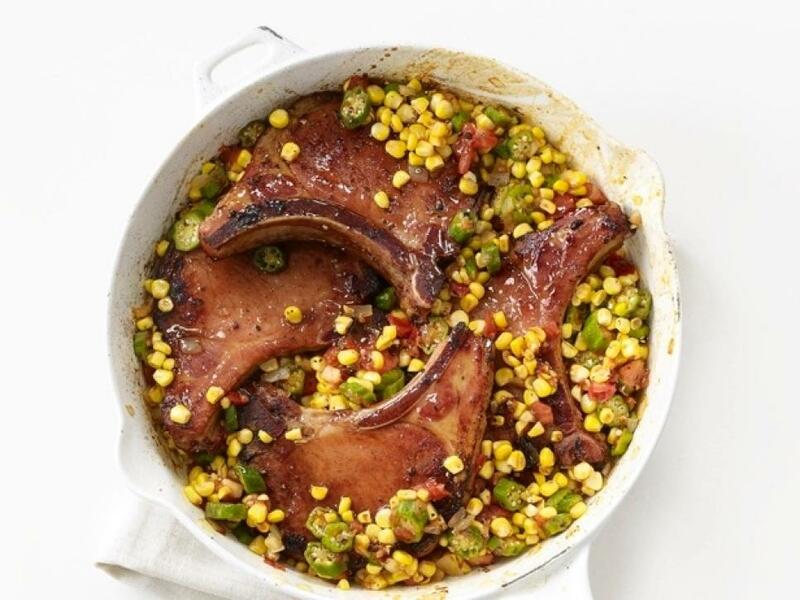 Cut a 2-inch-deep pocket in the side of thick pork chops and spoon the sauce inside before searing the chops in your skillet. Butternut squash lends its silky texture to this classic dish, allowing you to cut the cream and butter with no sacrifice of flavor. 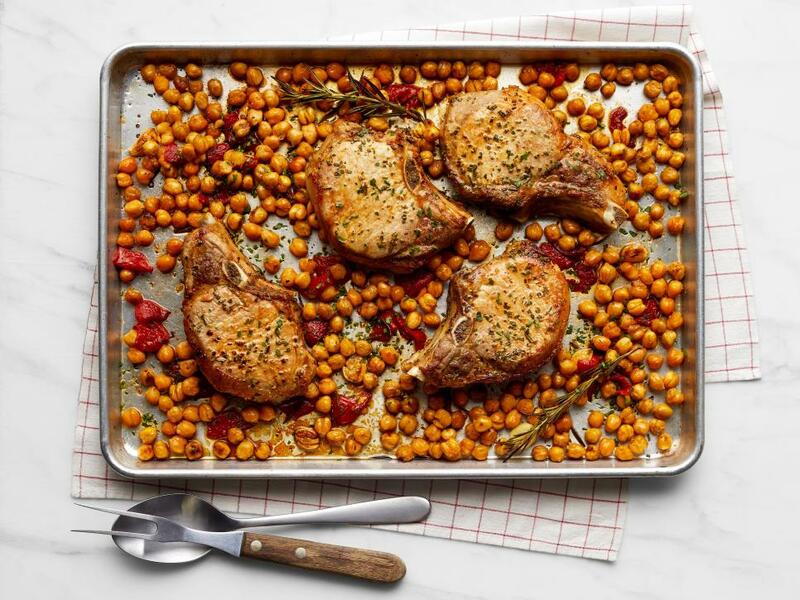 A pork chop dinner for four is a no-brainer when it's all on one sheet pan. 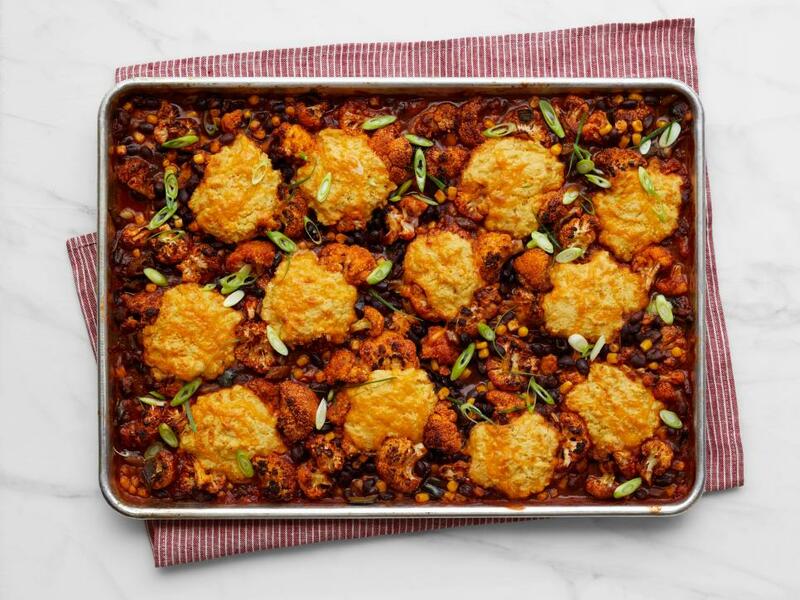 Vegetarian chili becomes a breeze when it's spread out on a sheet pan with drop biscuits. 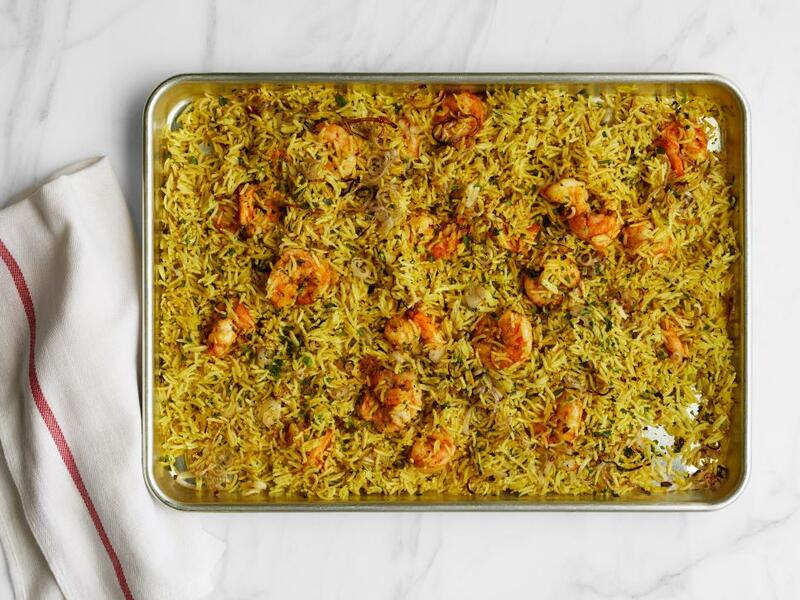 Serve this simple shrimp and rice dish right from the pan. 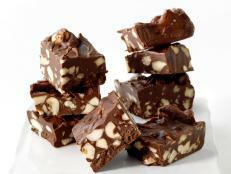 Don't be surprised when your family asks for seconds. 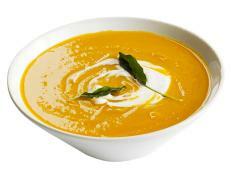 Pumpkin puree isn't just for pie. 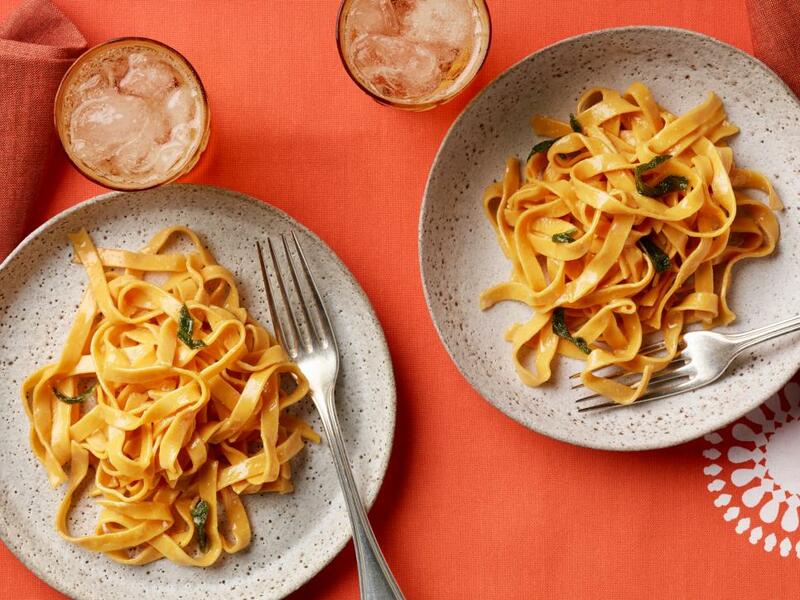 Think outside of the can and make this easy orange pasta in your food processor. Add a sprinkle of Parmesan and some toasted pumpkin seeds for an upgrade. 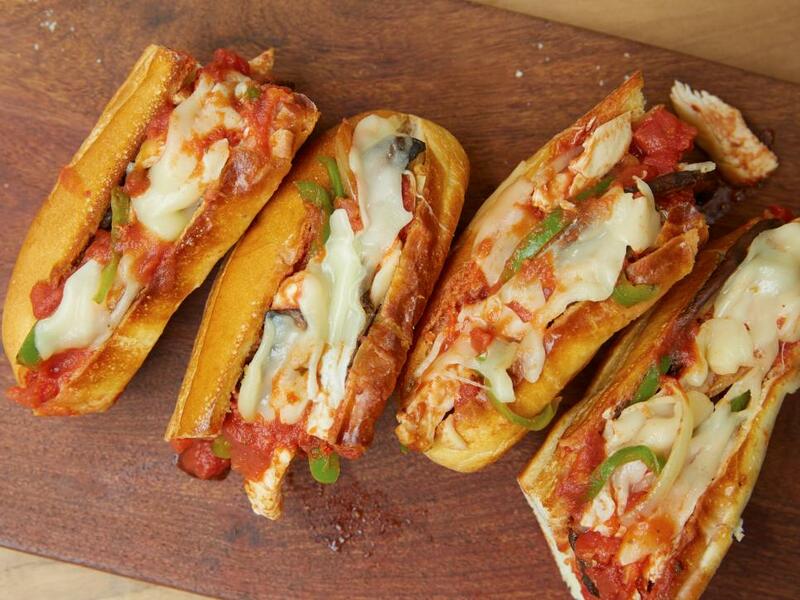 Rachael serves an Italian classic as a sandwich by stuffing toasted sub rolls with grilled chicken, sauteed veggies and a zesty red sauce. A few slices of provolone, melted under the broiler, will put these subs over the edge. 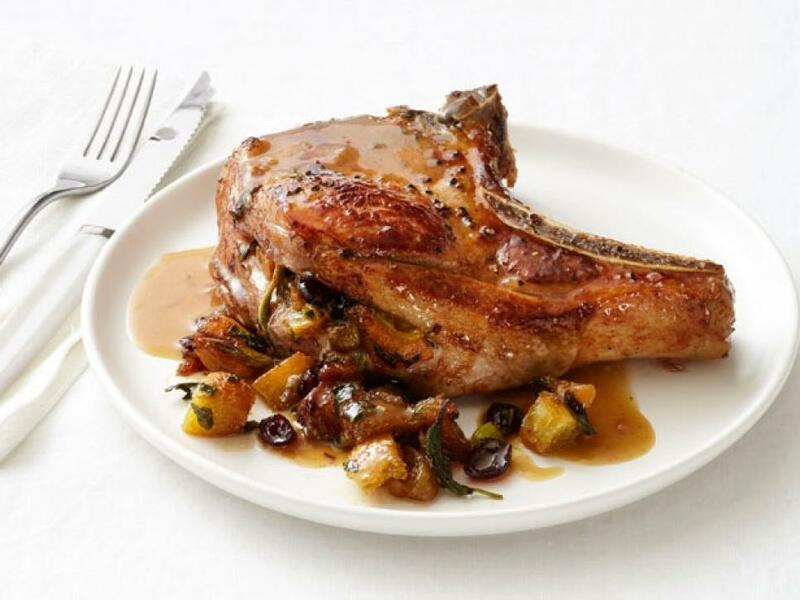 Seared pork chops make for a satisfying, protein-packed meal year-round. 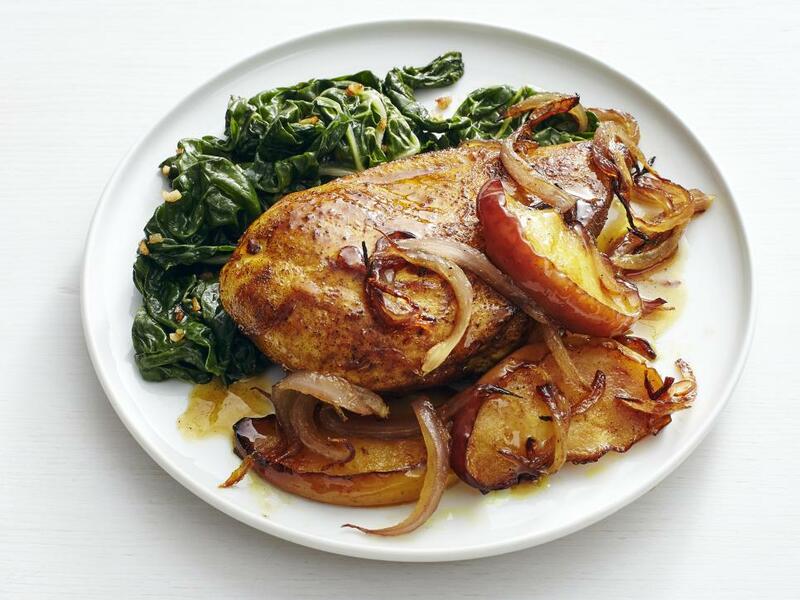 In the cooler weather, they're especially good alongside sweet, in-season pears. 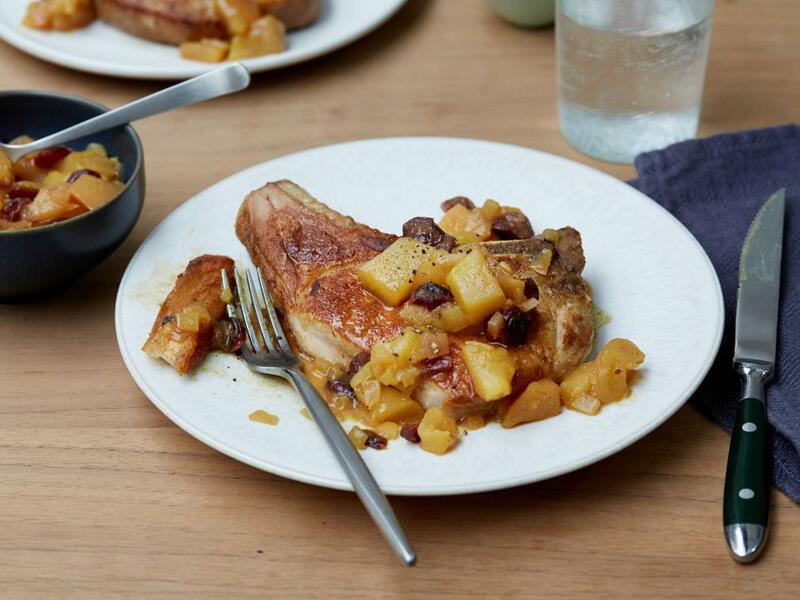 Top the pork chops with a homemade ginger, curry and pear chutney for rustic presentation and fall flavor. 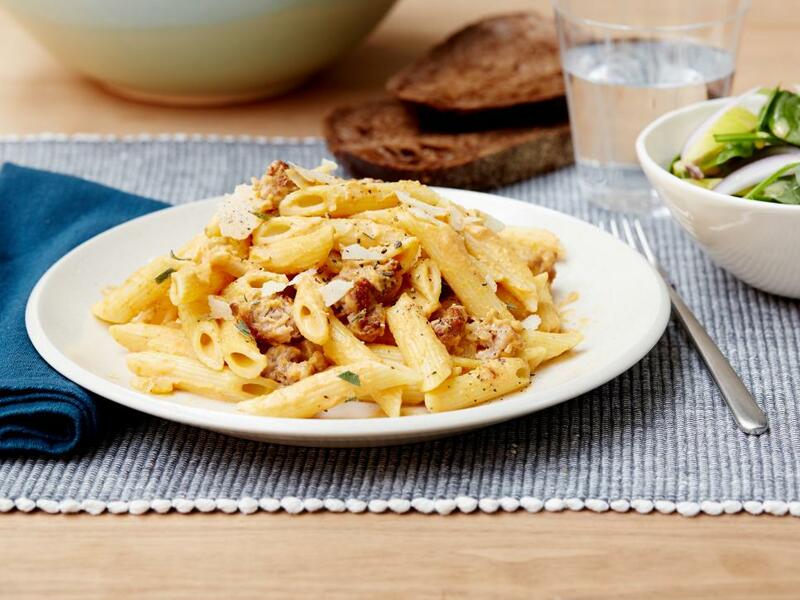 Rachael Ray tosses penne pasta in a sauce of creamy pumpkin and sweet sausage for a filling fall meal that's ready in just 25 minutes. 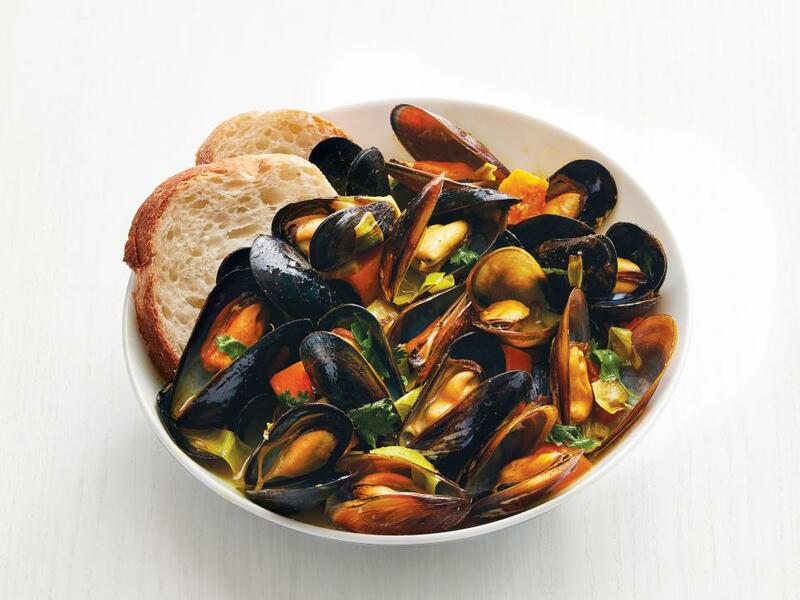 Sweet butternut squash complements briney, salty mussels in a curry sauce. Don't forget crusty bread for dipping! 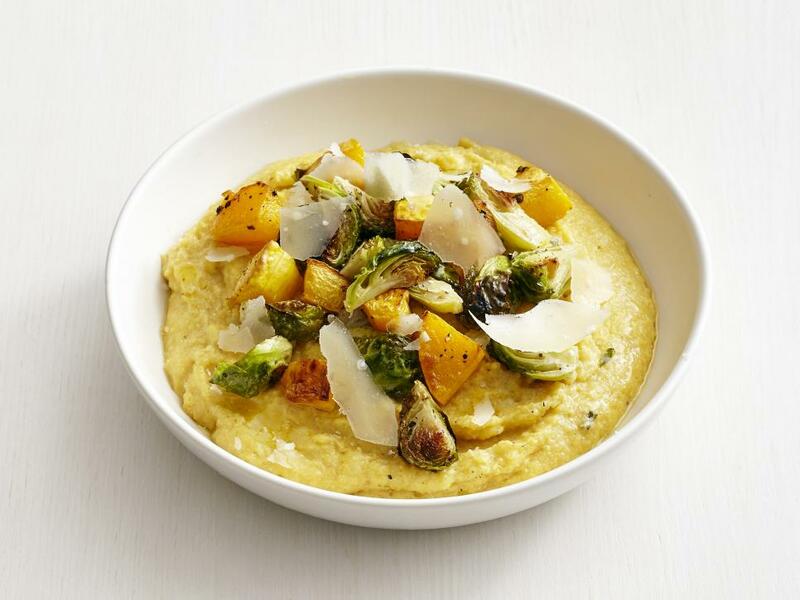 Blend instant polenta and pumpkin puree for a base that's entirely different from the norm. 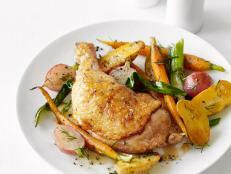 Round out the dish with roasted fall vegetables and Parmesan shavings. 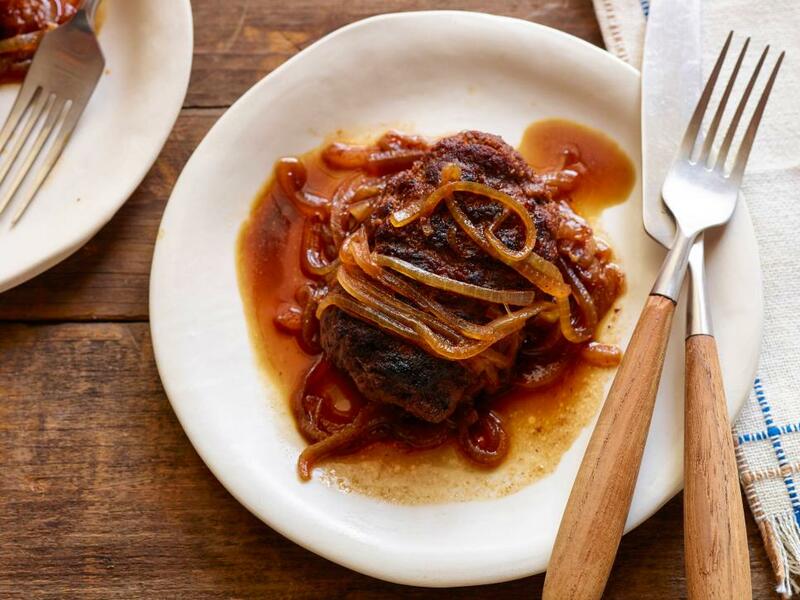 Giada De Laurentiis' recipe is quick and simple, making it the perfect way to get dinner on the table during busy weeks. 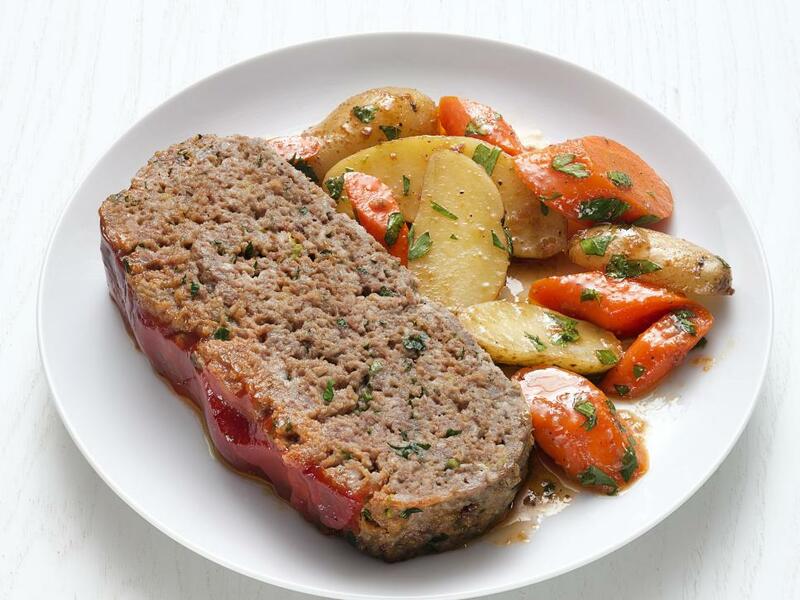 Ree's version of this classic comfort food involves a tasty blend of Worcestershire sauce, mustard, ketchup, butter and more. 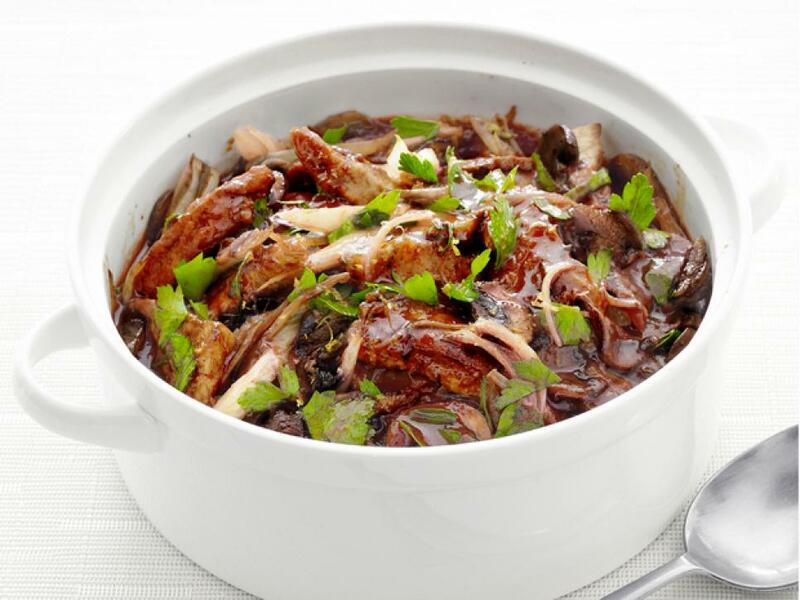 You'll simmer the chicken on top of a sauce made with apples and onions for a flavor that is distinctly fall. 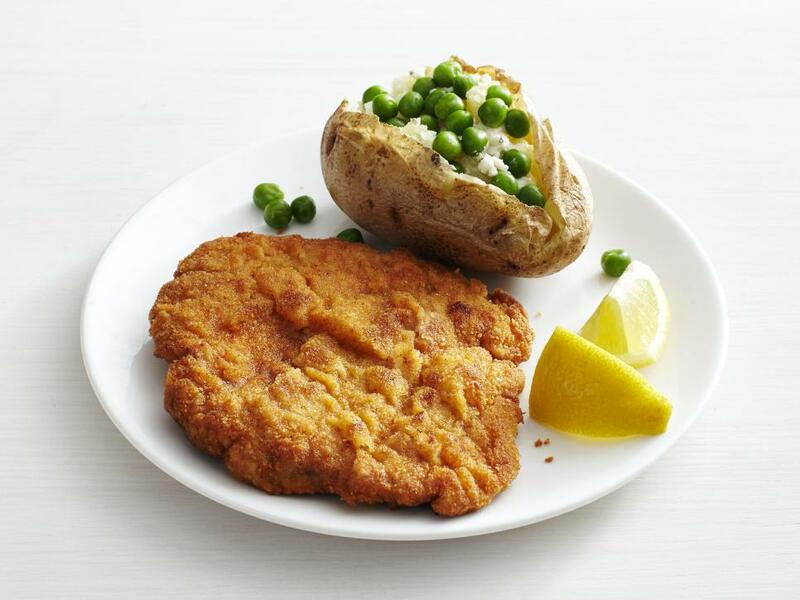 Get in the spirit of Oktoberfest with a classic schnitzel. 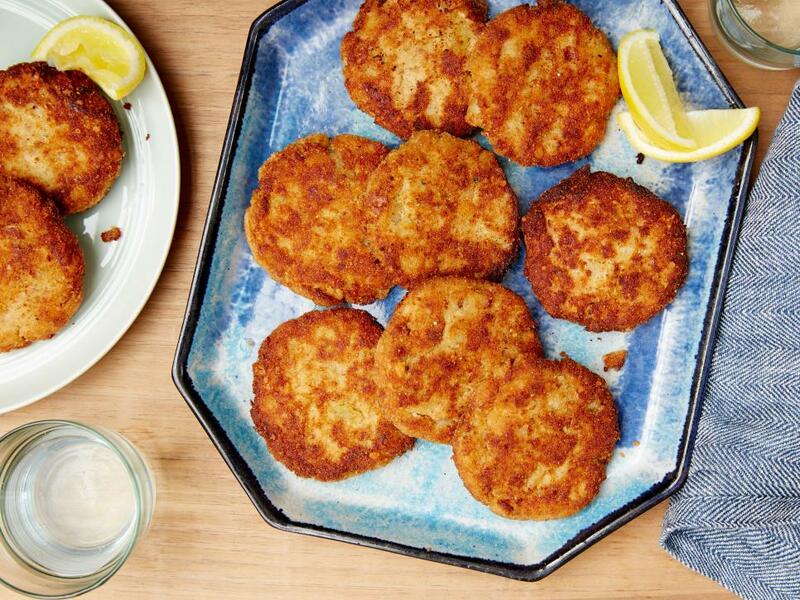 Kids can help make the cutlets — put them in between to pieces of plastic wrap and let them pound it out. 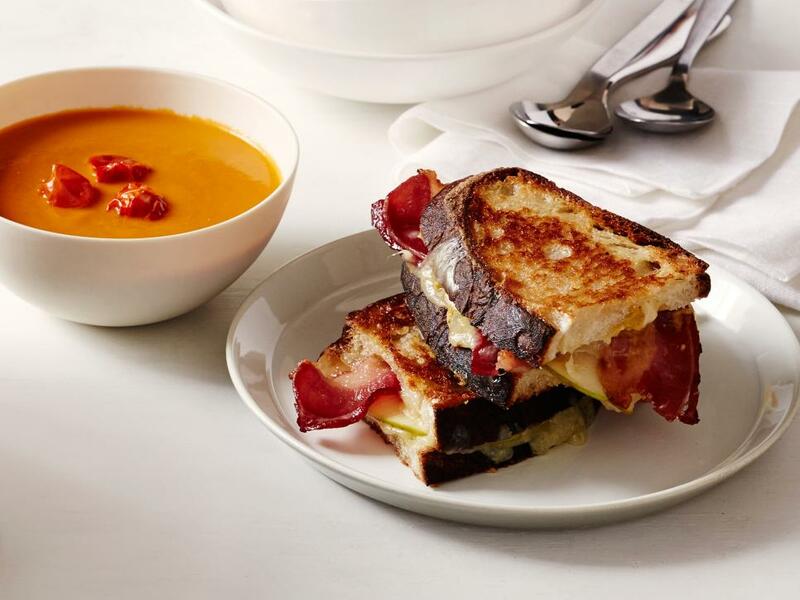 Like classic grilled cheese, Tyler Florence dunks his super-flavorful sandwich in a bowl of roasted tomato soup. 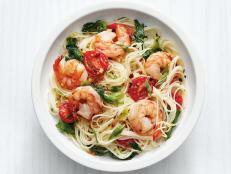 Let this family-friendly dish cook while you're at work. When you get home, the biggest challenge will be getting everyone to the table at the same time. 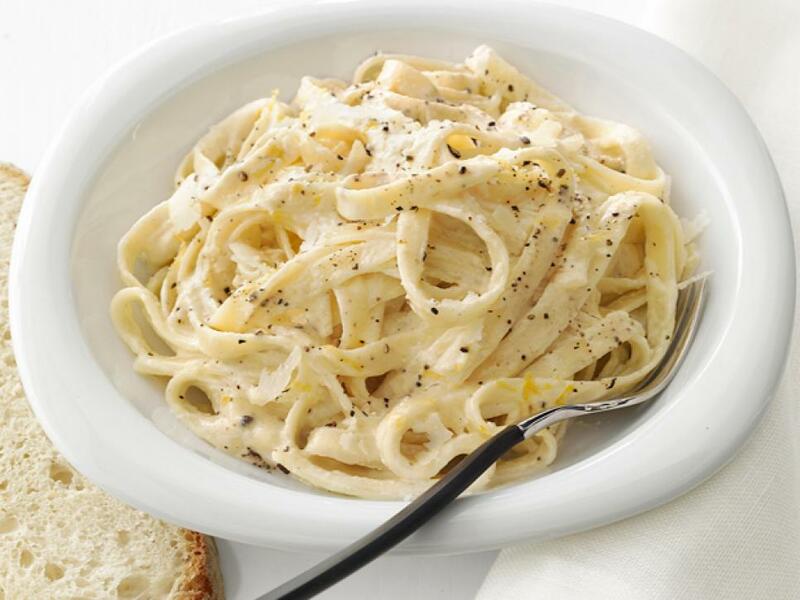 This creamy pasta comes together in just 20 minutes and has a hint of tangy lemon zest. 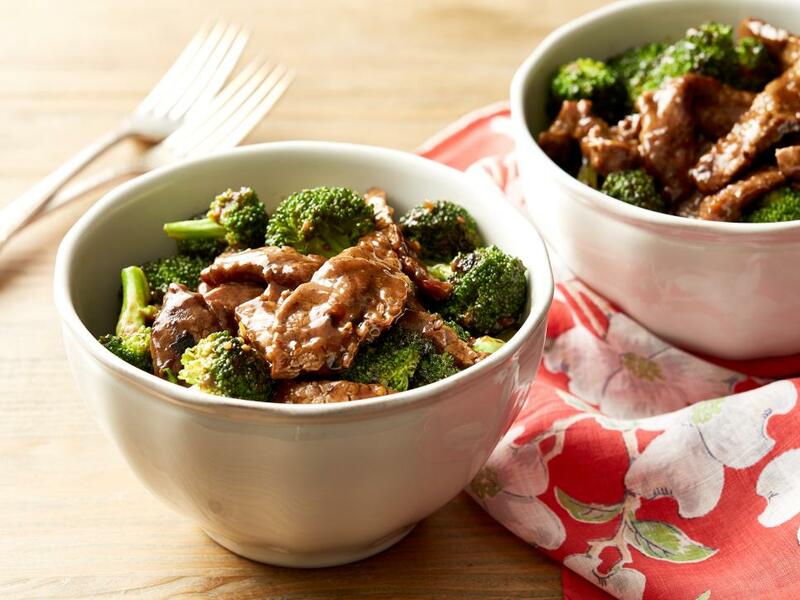 The ultimate in quick-fix cooking, Ree's 20-minute dinner is packed with the bold flavor of a double-duty sauce made with soy sauce, brown sugar and ginger. 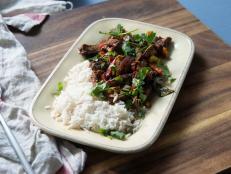 This salty-sweet mixture not only marinates the flank steak, but also serves as the base of the cooking liquid. 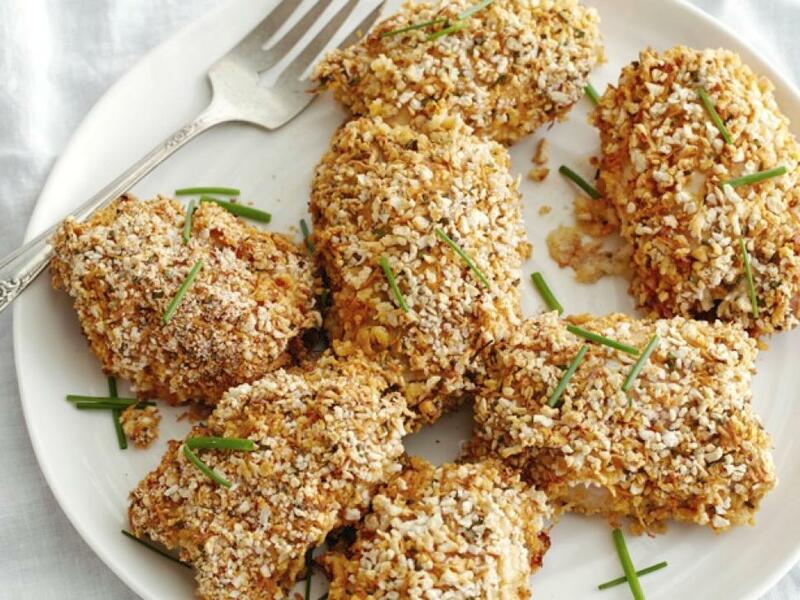 For this easy weeknight dinner, dredge juicy chicken thighs in a tangy Dijon mustard mixture, then roll them in spicy Parmesan breadcrumbs and bake until crisp and golden brown. 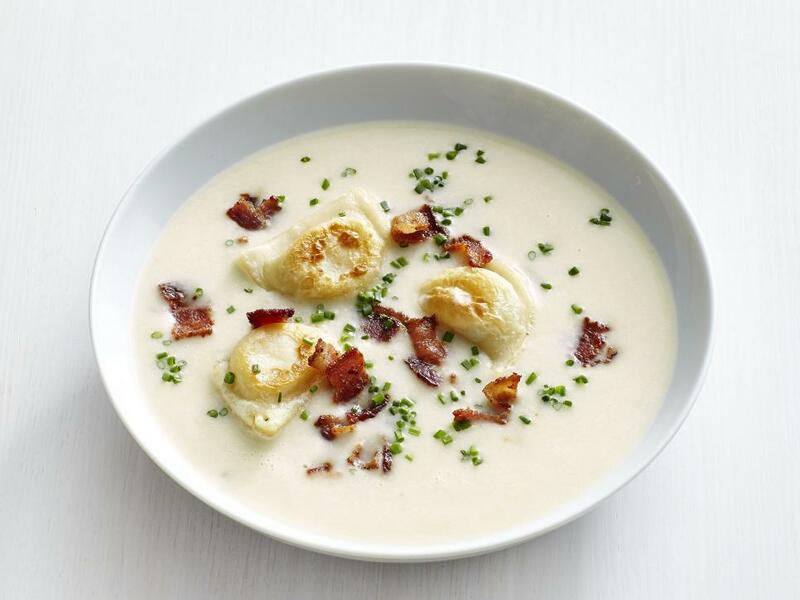 Mini potato dumplings turn this pureed soup into something instantly hearty. 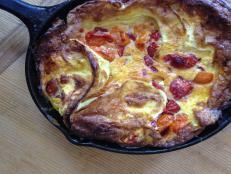 Crispy bacon gives it an added layer of texture. Ree Drummond makes homemade raviolis simple by using wonton wrappers for the dough. 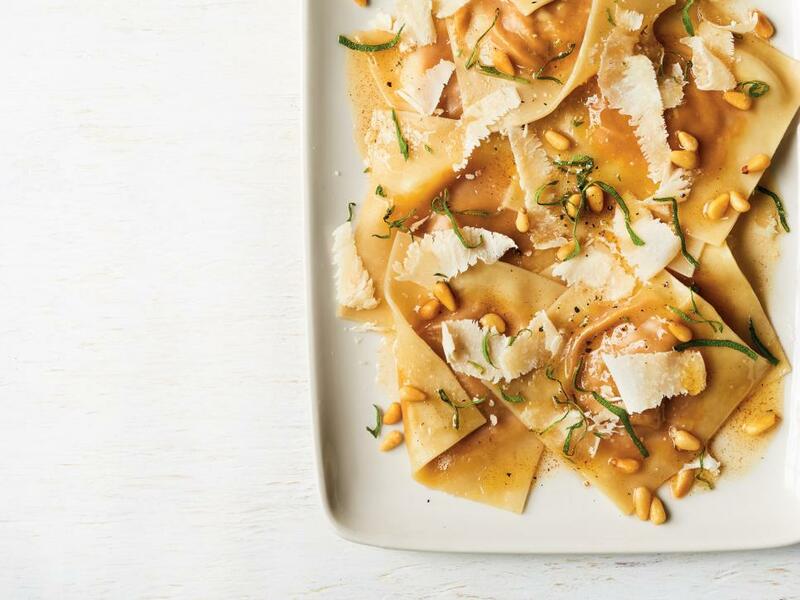 Sauteed in brown butter, this sweet pumpkin pasta is the perfect cozy meal. This dinner is a quick version of the classic Hungarian stew that's known for its creamy paprika sauce. A store-bought rotisserie chicken makes these cheesy enchiladas quick and easy. 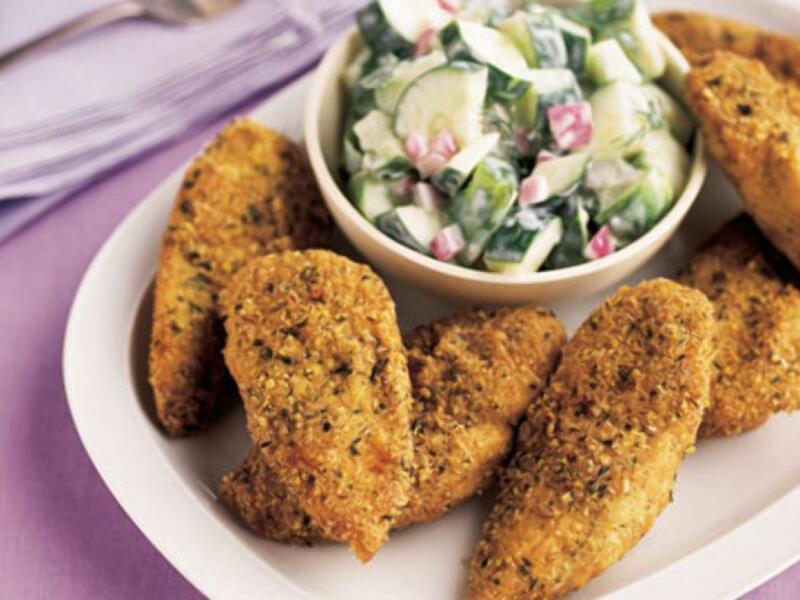 Coat chicken in store-bought falafel mix for a crunchy weeknight dinner. These homemade dumplings come together with just 20 minutes prep. 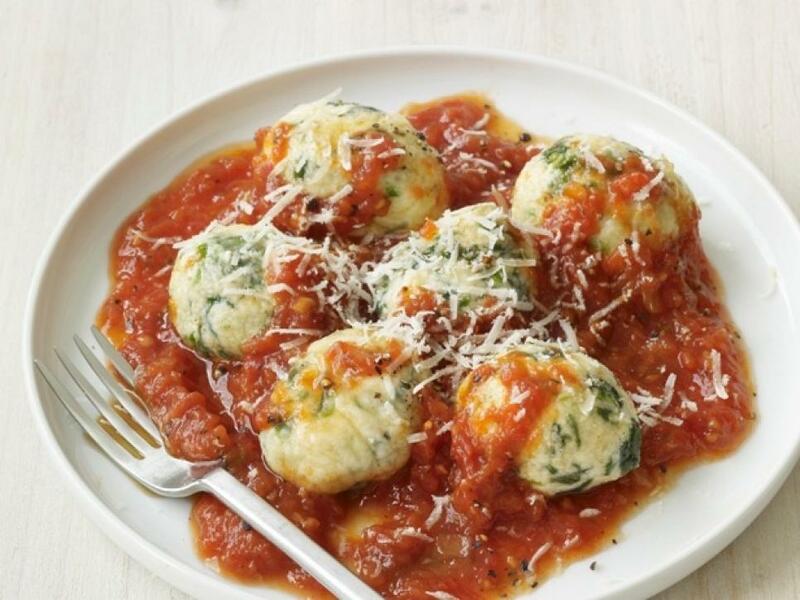 Save even more time by topping them with a prepared marinara. 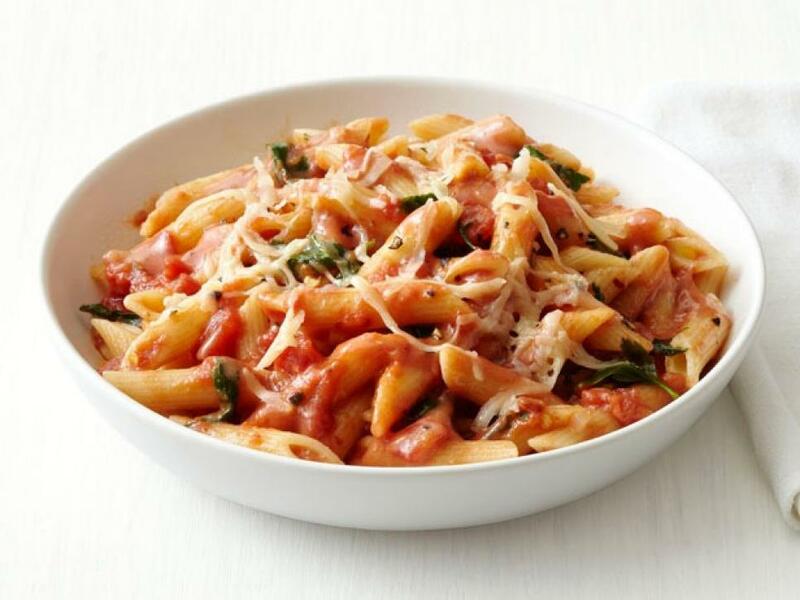 Toss penne noodles with a dressed-up tomato sauce featuring a dash of red pepper flakes and splashes of vodka and cream. 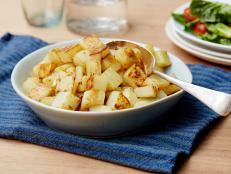 Even die-hard steak-and-potato lovers will enjoy this meal. 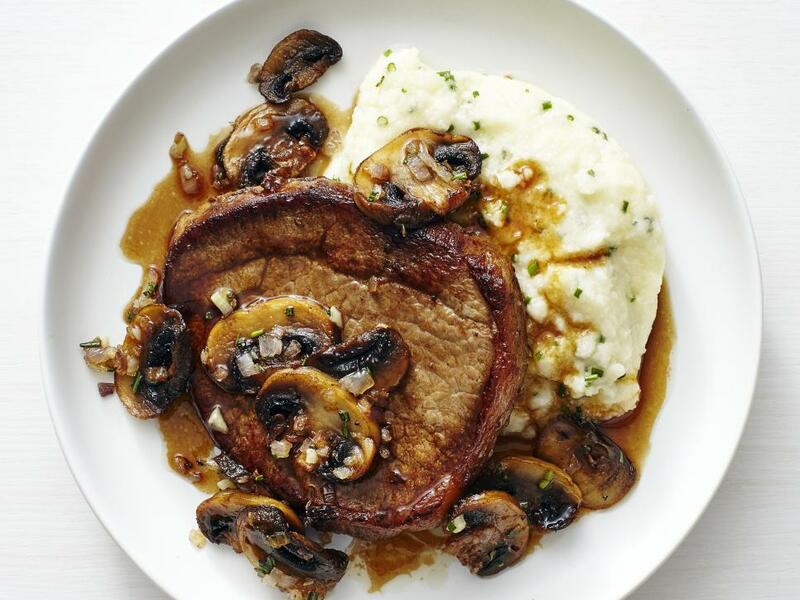 A food processor makes it easy to turn out mashed cauliflower that's just as smooth as the traditional favorite, and don't forget the mushrooms, cooked in a sweet wine sauce — they're the perfect finishing touch. 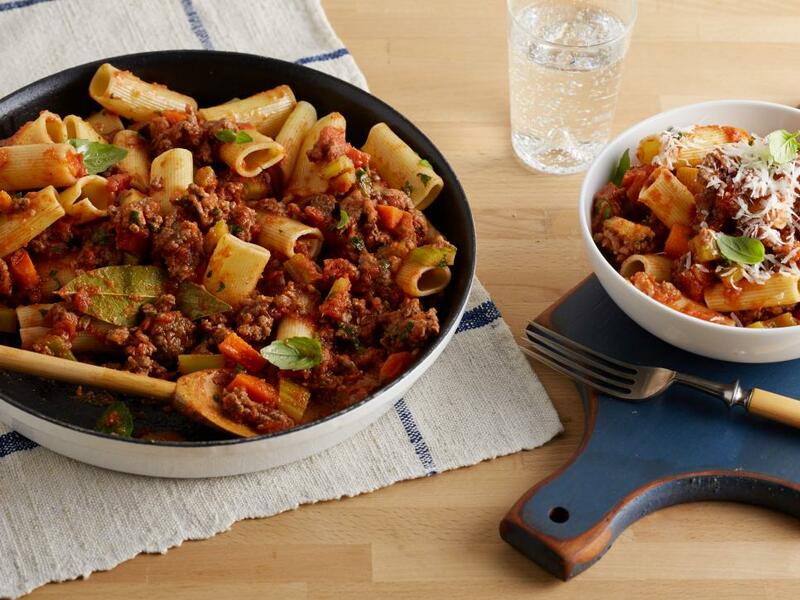 This is the kind of warm, hearty comfort food you'll want to come home to on a cold fall night. 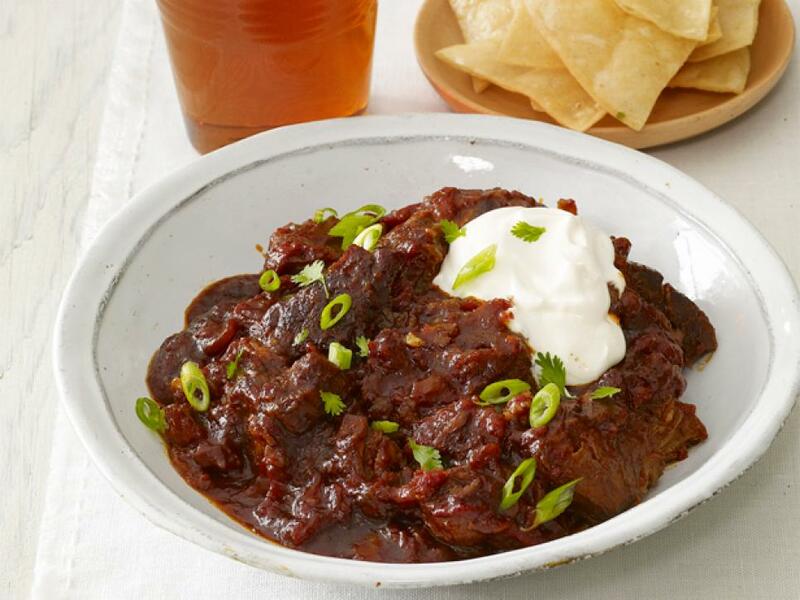 Start your slow cooker in the morning and the beef will be fall-apart tender by dinnertime. 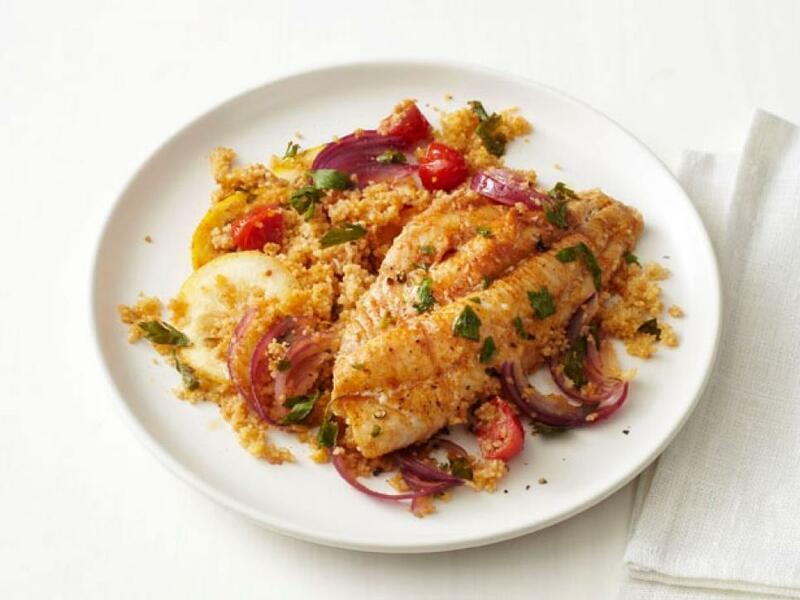 Adding a tiny bit of smoked paprika to your couscous will complement the more delicate notes of lemon and parsley in the catfish marinade. 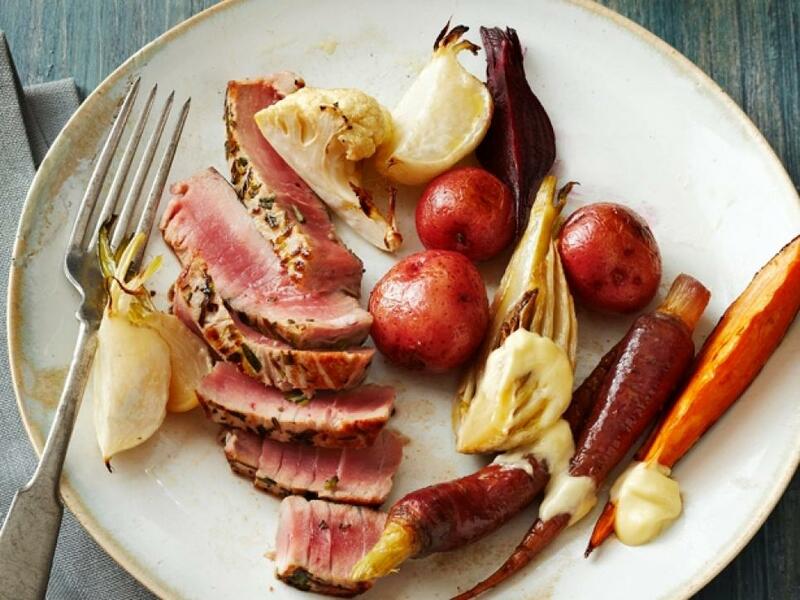 Prepare perfectly seasoned tuna steaks with just four pantry staples: rosemary, thyme, scallions and olive oil. 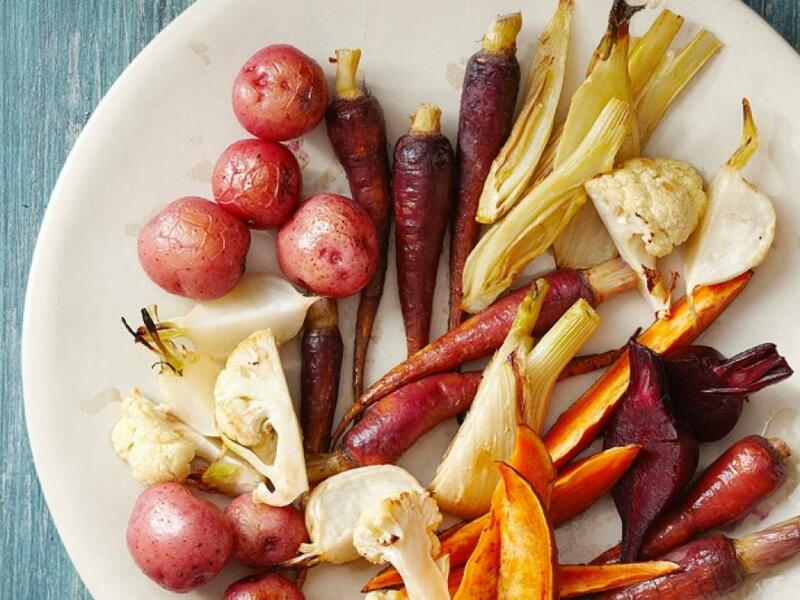 Serve the fish with a fall-inspired side dish, like a medley of roasted root vegetables. 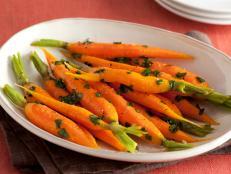 Pair roasted vegetables, like cauliflower, turnips, fennel and more, with an easy-to-make, garlicky aioli sauce. 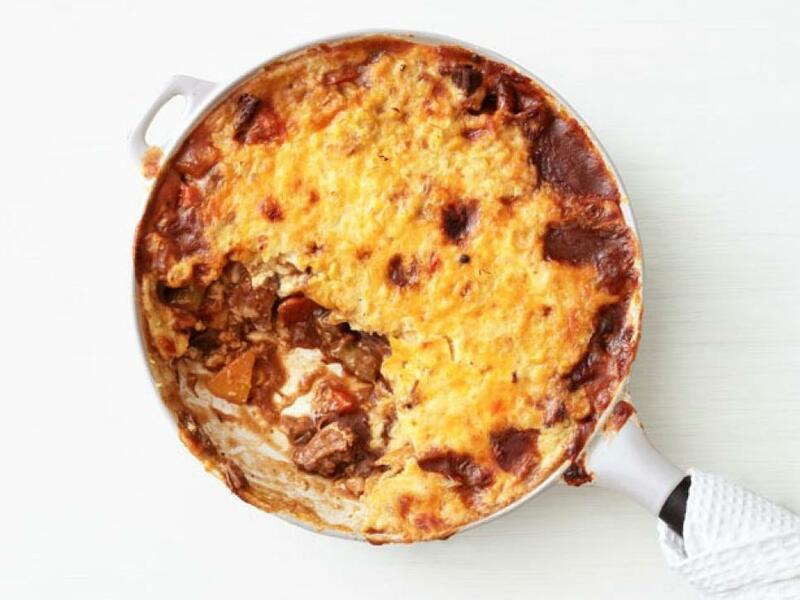 Use leftover brisket, plus the vegetables and gravy from last night's sauerbraten, to assemble this easy and satisfying casserole. 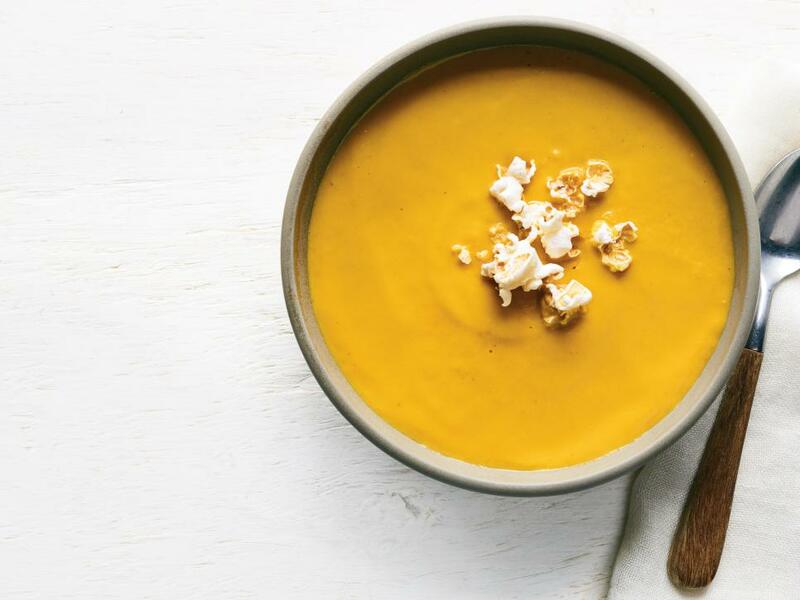 Butternut squash, creamed corn and cheddar cheese make creamy, seasonal additions. 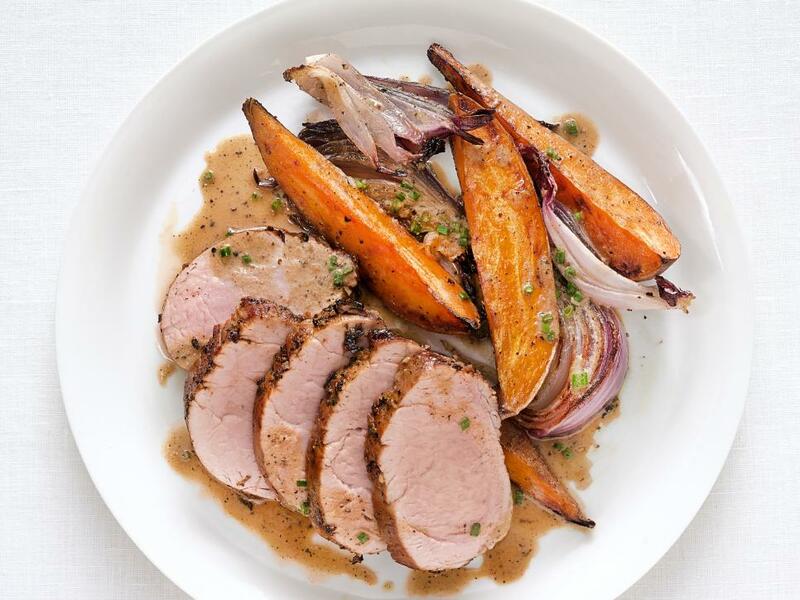 The key to this succulent roast pork is the sweet-and-savory marinade, made of brown sugar, sage and garlic. 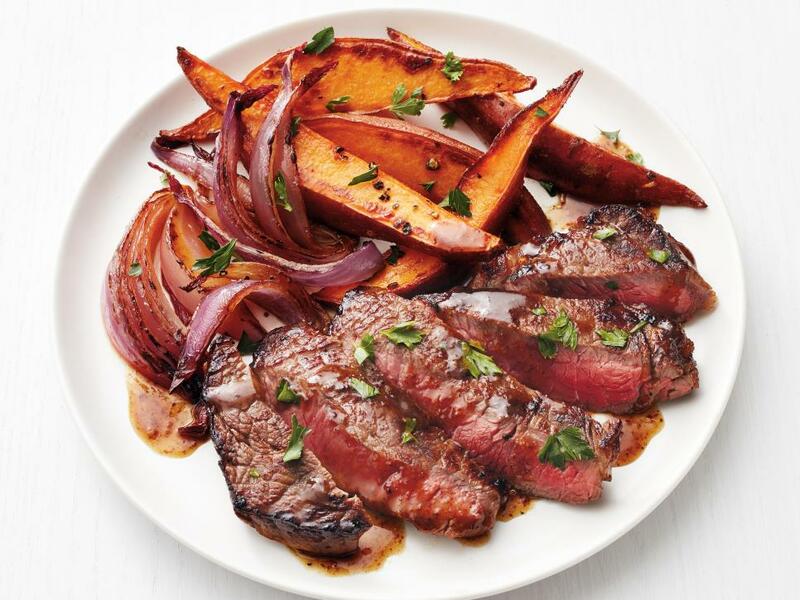 Serve the meat with roasted sweet potato wedges, spiced with cayenne pepper. 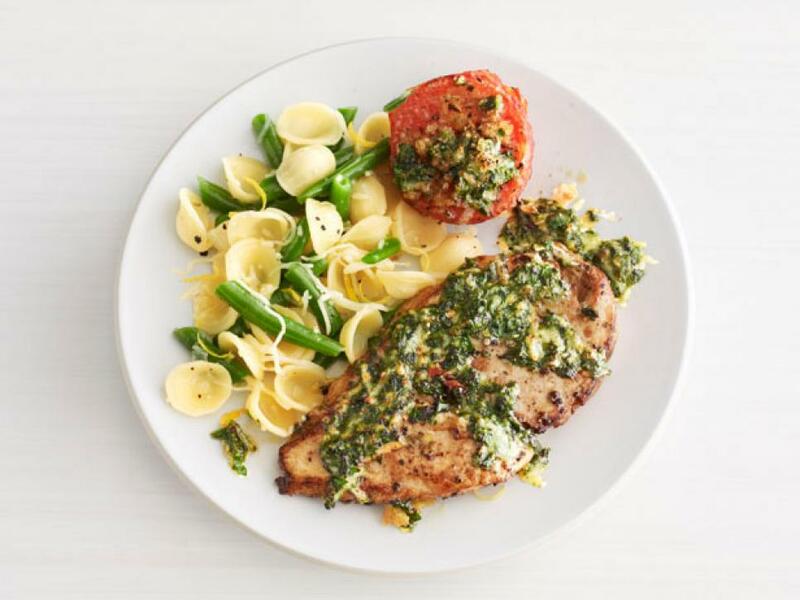 Combine arugula, parsley, toasted almonds and Parmesan for a quick, fresh pesto sauce that will liven up broiled chicken breasts and orecchiette pasta. 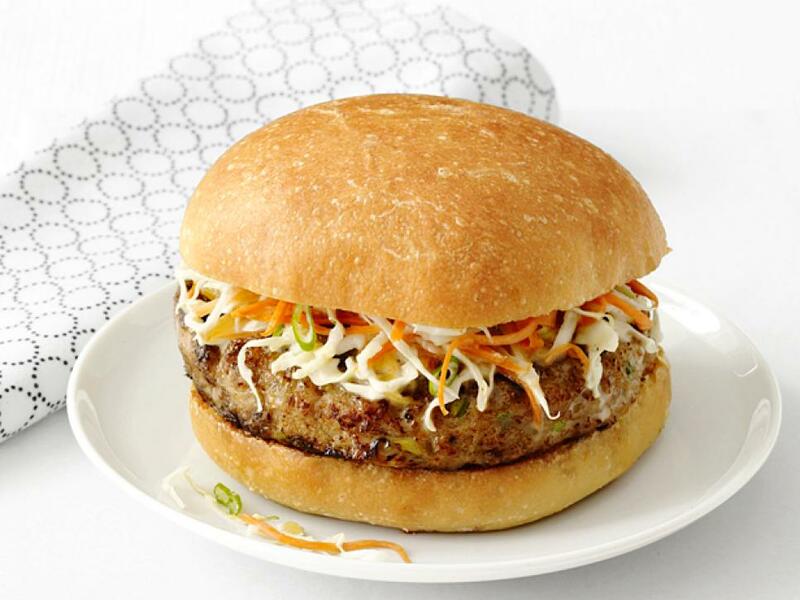 The fruity flavors of diced apple and mango chutney cut through the heat these burgers get from jerk seasoning. 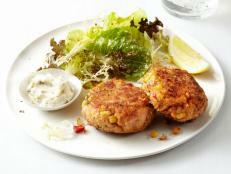 Though jerk is traditionally used as a rub for chicken and pork, it works beautifully here mixed into ground turkey. 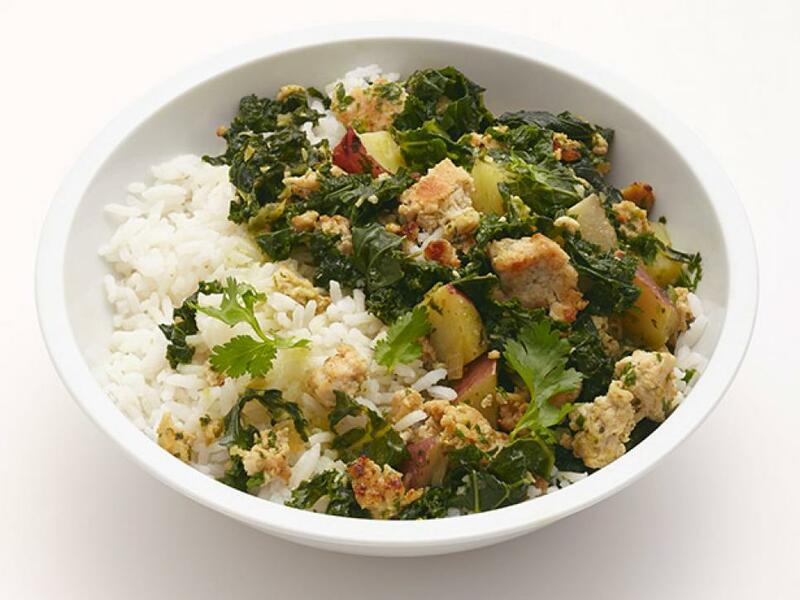 Laced with cumin and jalapeno, this spicy rice bowl is both healthy and filling thanks to chopped kale, red potatoes and, of course, lean ground turkey. 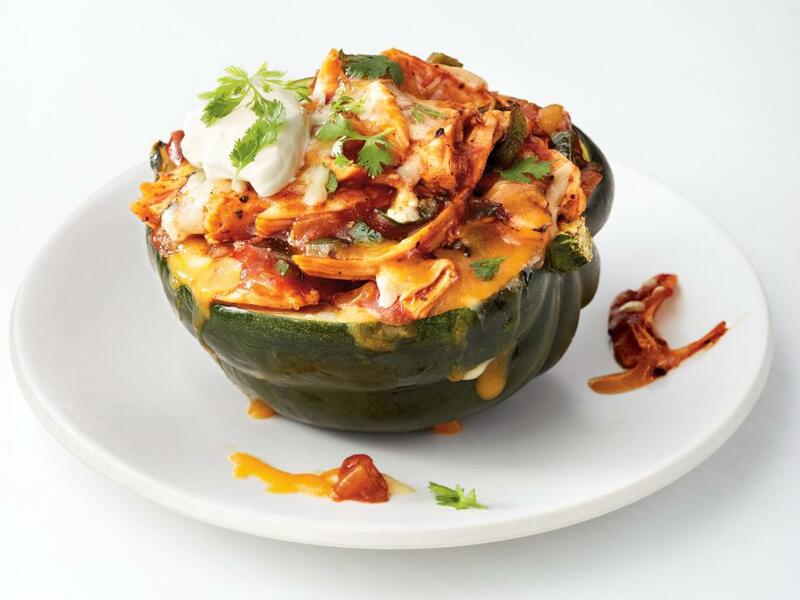 You'll find acorn squash popping up at the grocery store this season. 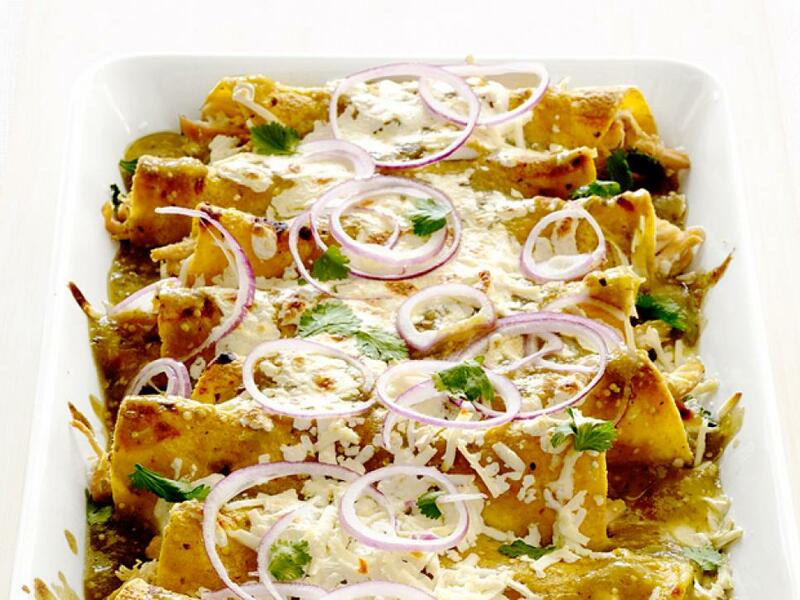 Use it to make a new twist on the classic chicken enchilada. 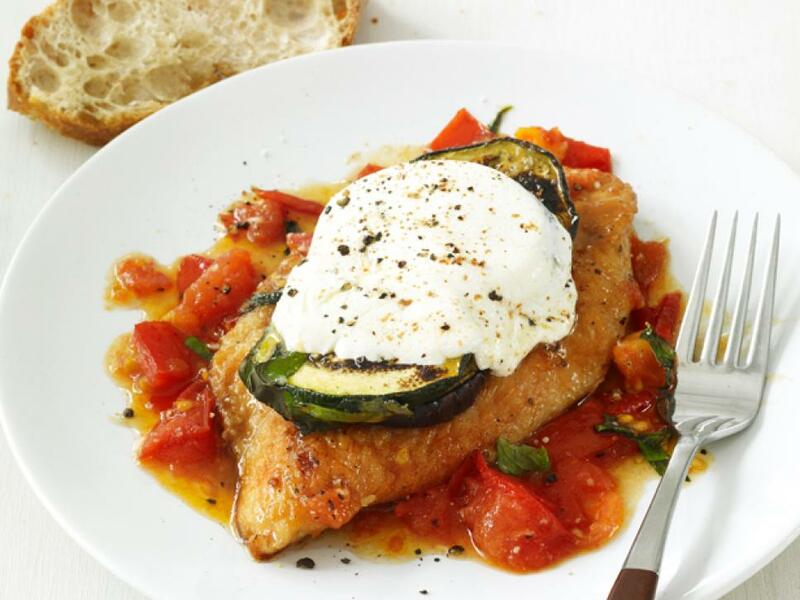 Top stacks of turkey cutlets, eggplant, zucchini and mozzarella with burst tomatoes before broiling for a quick and ultra-easy dinner. 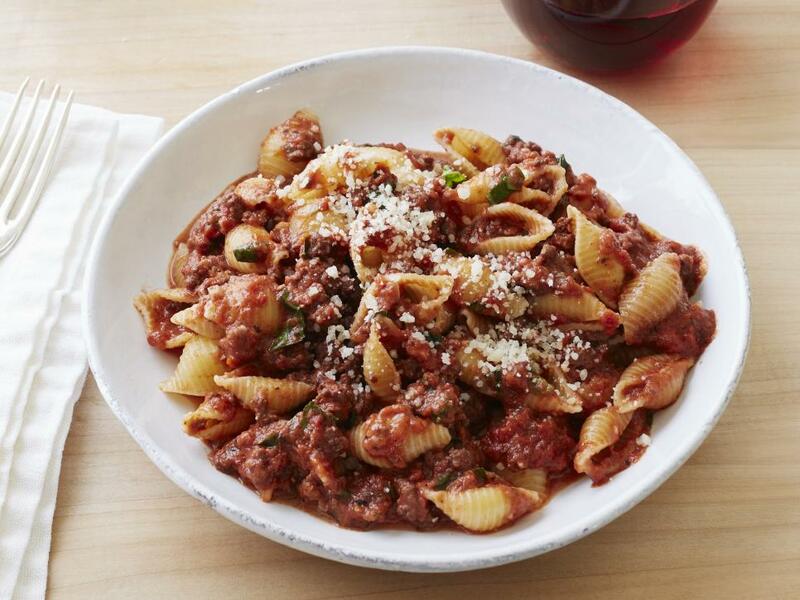 Ina Garten's weeknight bolognese is the perfect hearty sauce for pasta night during the week. 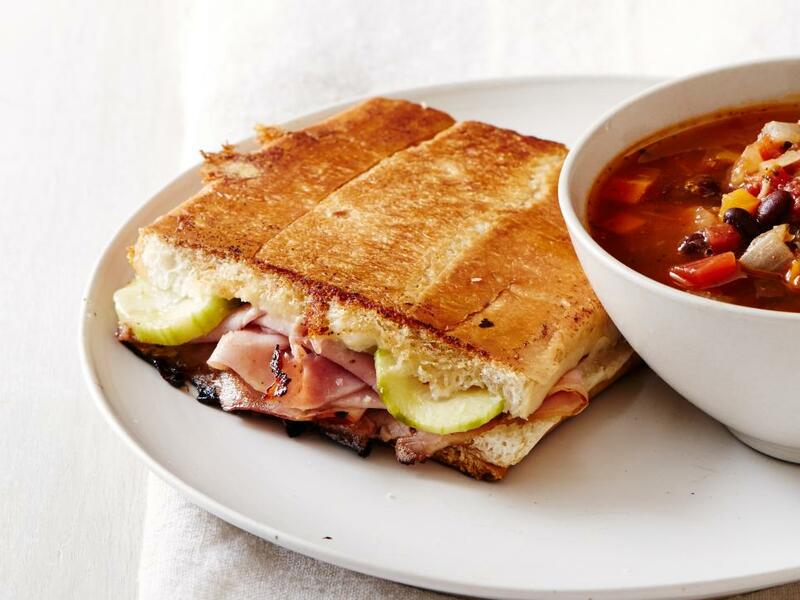 Serve Melissa d'Arabian's Cubano sandwiches with a side of black bean soup for a dinner that's inspired by the flavors of Latin America. 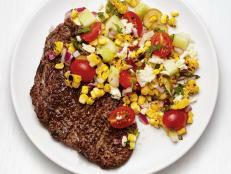 Lager-style beer makes a light steak sauce with plenty of flavor. Sweet potato fries add festive fall color to your plate and the perfect finishing touch. 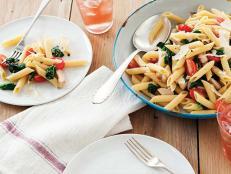 Lighten up pasta night without skimping on flavor. 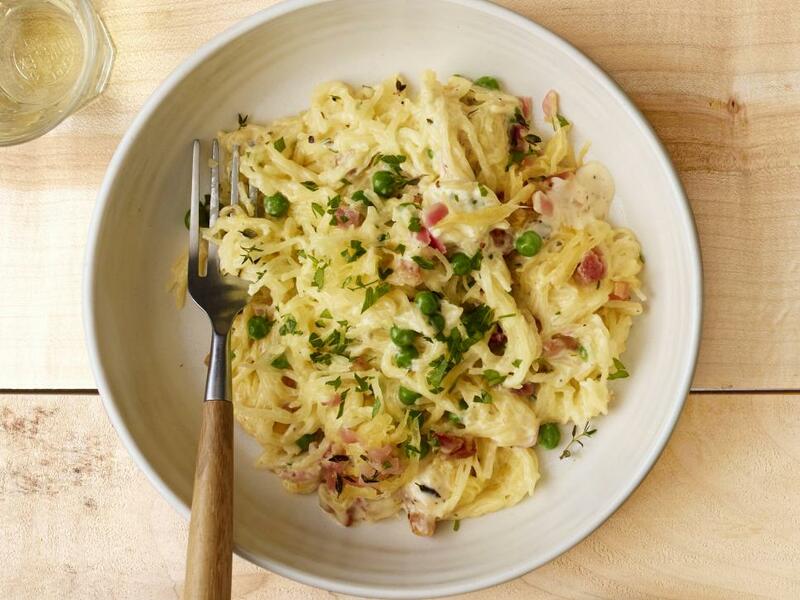 Roasted spaghetti squash takes on the creamy flavor of rich alfredo, salty pancetta and bright peas. 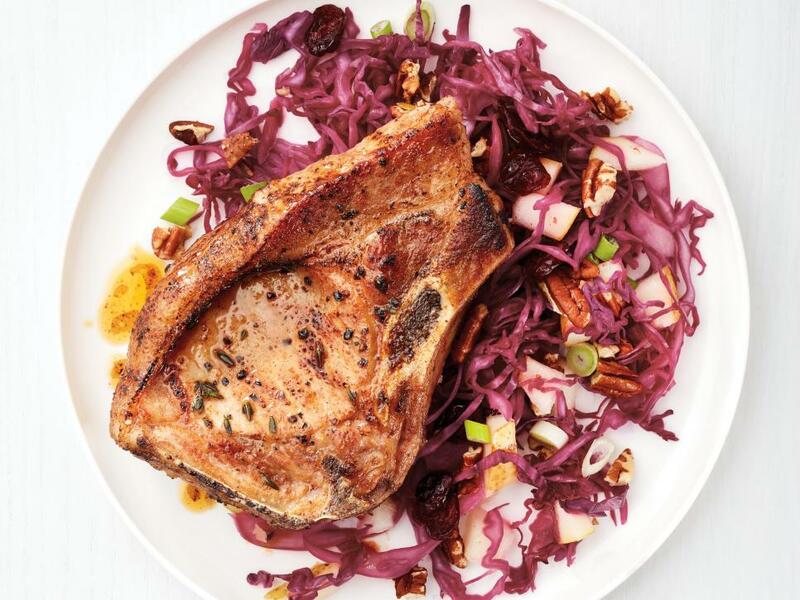 Cranberries add a subtle tang to a fruity slaw that complements sweet pork chops. The classic southern stew doesn't have to take all day. 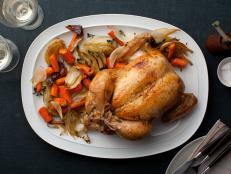 Make this weeknight version using a store-bought rotisserie chicken. 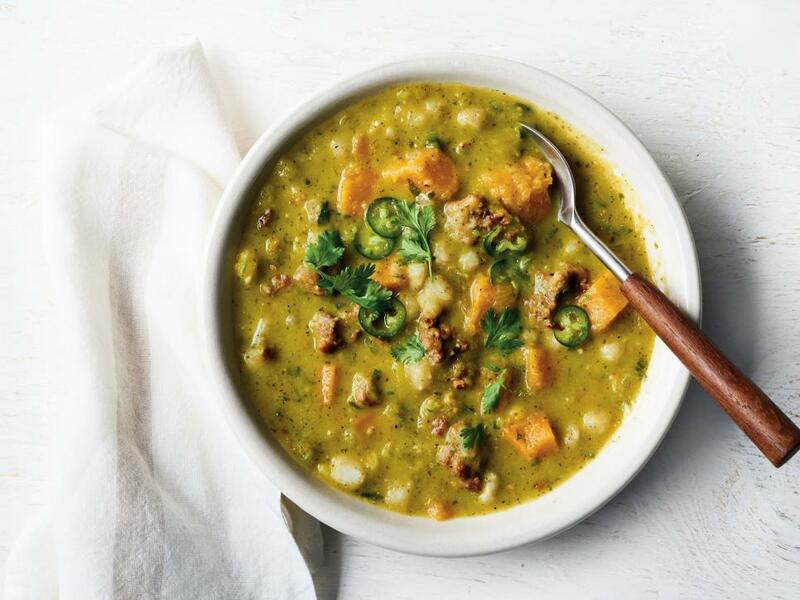 Make a new kind of pumpkin chili this fall. Tomatillo salsa gives this pot its green color and a bright, light flavor. 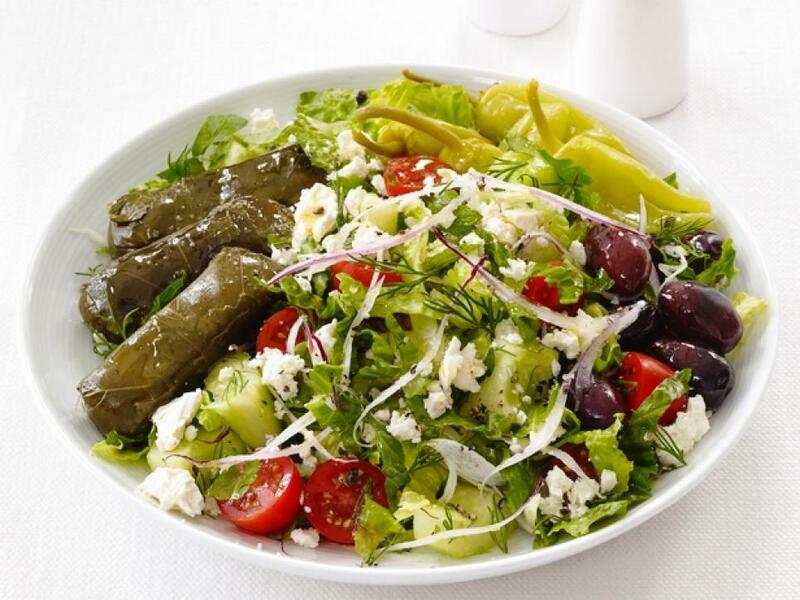 Toss romaine lettuce with olives, tomatoes, cucumbers and feta, then top with stuffed grape leaves. 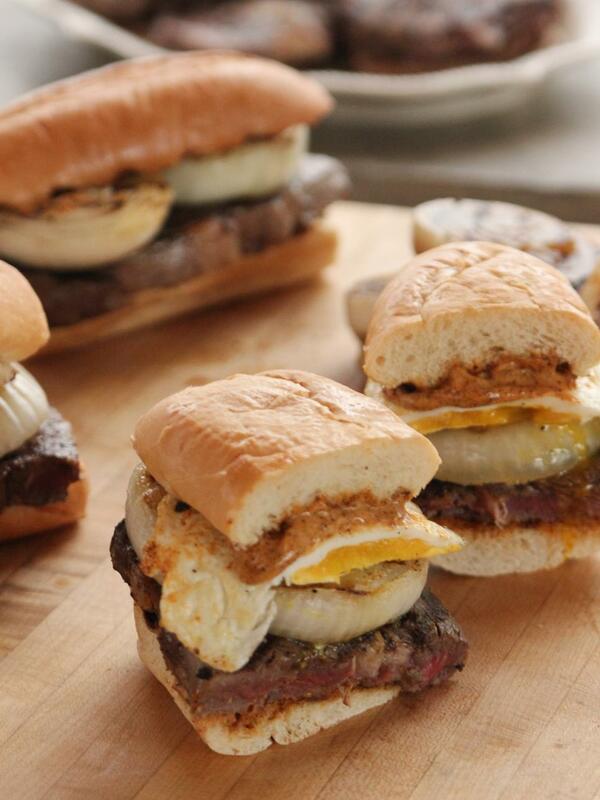 Ree feeds a hungry crowd in just 20 minutes with these fried-egg-topped sandwiches fancied up with a little bit of ancho mayo. 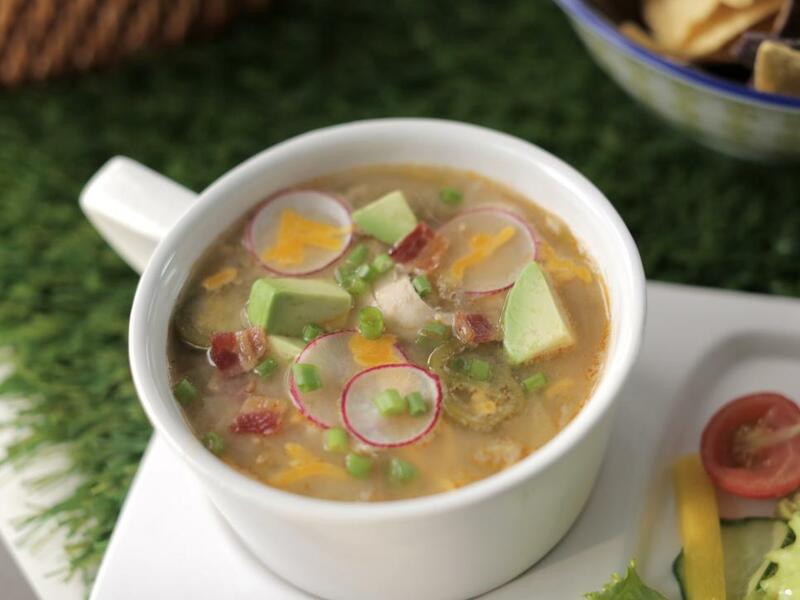 Chili is normally set aside for weekend cooking, but this white chicken chili comes together in just about 45 minutes. 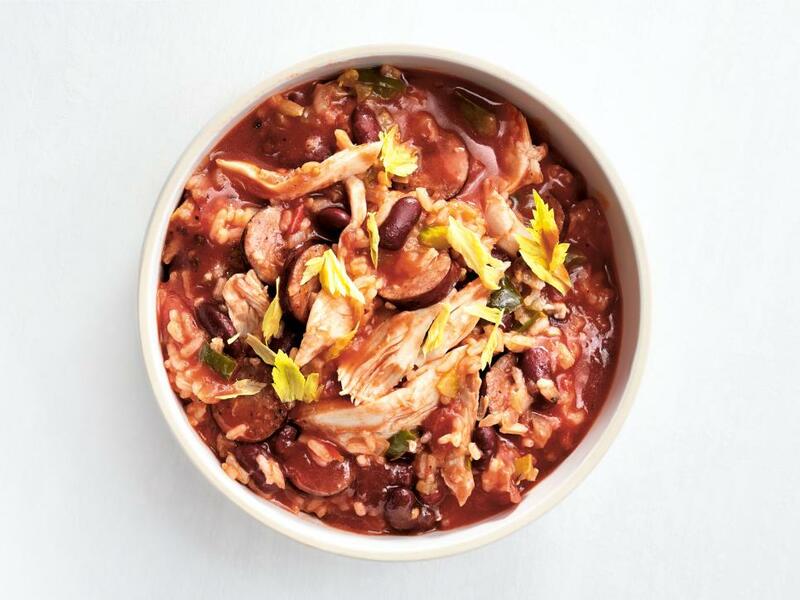 Valerie poaches chicken for the chili, which is a quick way to add flavor to store-bought stock, but you can cut off some prep time and start out with shredded rotisserie chicken.